Rise and recline chairs cost varying amount depending on the features included and the fabrics and finishes. Take a look at the information below to get a rough idea of how much riser recliner prices differ and find out how much your chair could cost. Manual recliners tend to be cheaper because they don’t include electrical functions and components. Using a simple lever, you can lay back and relax in these chairs. Manual recliners like this Marbella chair tend to cost less money because they don’t contain electrical components. Decent manual recliner chairs cost anywhere from £500 or £600 upwards. You can get manual recliners in different fabrics and sizes to suit you and your décor. If you’re looking for a straightforward recliner chair that’s operated manually, then these chairs are perfect. But if you need a little more help or power when repositioning your chair, an electric riser recliner would be better. The prices of electric riser recliner chairs vary a lot more depending on how much you want to include in your chair and how customised you want it to be. 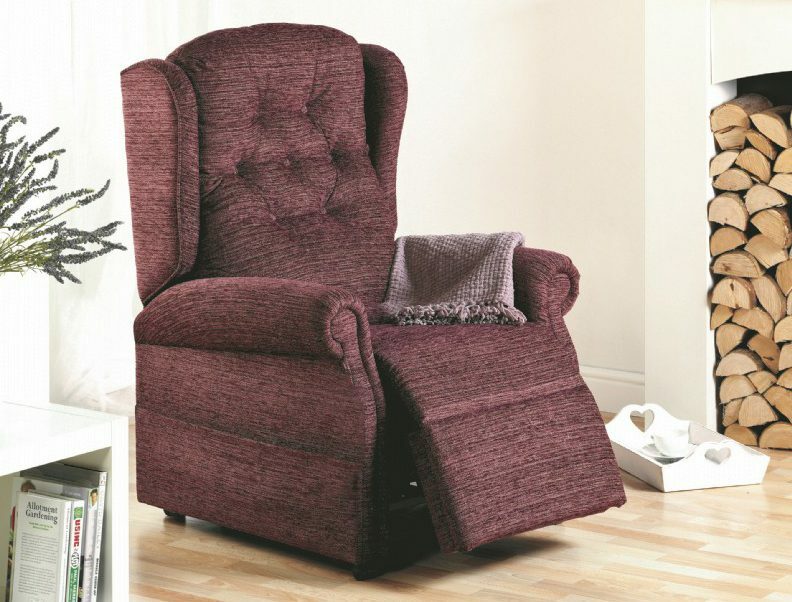 Lower end electric rise and recline chairs cost anywhere from £550 upwards. These chairs have standard rise and recline functions and come in stock sizes (or only one size in some cases) and have fewer fabric options. You’ll probably find that the better-quality rise and recline chairs will cost more money, but they’ll offer a lot more benefits and customisation options. More bespoke electric riser recliner chairs cost anywhere between £900 and £1200. These will offer more size options (i.e., small, medium, large) and more fabrics choices. These chairs are probably a better starting point for anyone looking for a new electric rise and recline chair because you can be flexible with the design and you can choose the size best-suited to you. Made-to-measure rise and recline chairs give you the most flexibility and options available. From fabrics and patterns to customised sizing and backrests, you can make the most of these chairs. The Copgrove is custom-made rise and recline chair that can be manufactured to suit you perfectly. The chair itself can be made to your measurements, so you will get the best comfort and support possible at all times. You can also choose to have your chair in leather or any upholstery finish. For a made-to-measure rise and recline chair, you could be looking at prices anywhere between £900 to £2000 depending on quality, sizing, accessories, and any actions you want to include (like tilt-in-space). If your chair requires more specialist things like pressure relief cushions, then it will add on to the price. Similarly, any accessories like arm caps, antimacassars, head rolls or different feet on the chair will be added on to the price. The price of rise and recline chairs depends very much of what you want to include in your chair, but generally speaking, you could be paying anywhere between £500 and £2000+. If you’re wanting a more detailed price or a quotation, then contact our seating specialists!